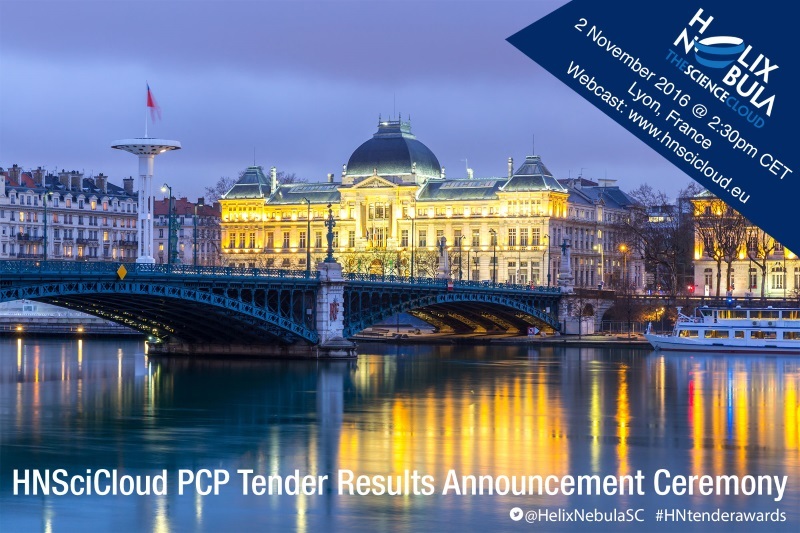 On the 2nd November 2016, the awards ceremony for the successful bidders of the Helix Nebula Science Cloud tender took place in Lyon, France, at the CC-IN2P3 (CNRS) premises, one of the main academic data centres in France and a procurer of the Helix Nebula Science Cloud (HNSciCloud). 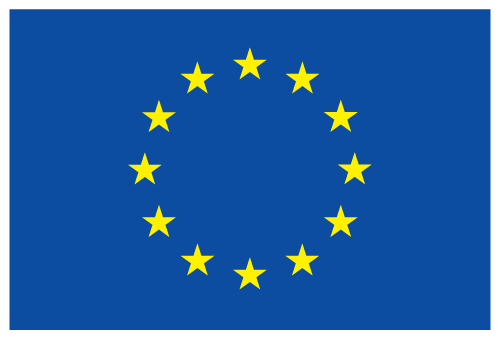 A total of 28 multinational companies, SMEs and public research organisations from 12 countries submitted bids during the summer. 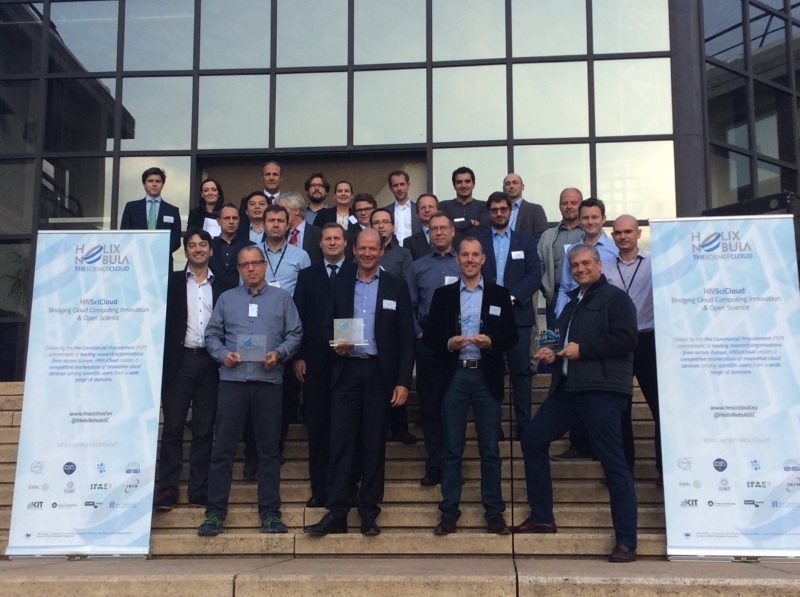 The 4 winning consortia have been announced at the event where they presented their visions for the hybrid cloud platform. Click here to find out more about the winning bidders. This event marked the conclusion of the preliminary phase of the pre-commercial procurement and was the occasion to kick off the design phase of the Pre-Commercial Procurement that will see the four winners compete to go through to the prototyping phase. The presentations and the recording of the event are available below.